The interdisciplinary design team focused on the following key objectives during this project: mitigating patient and visitor stress, reducing wait times through improved flow, improving staff sightlines both for security as well as clinical care, and capturing natural light and views of nature at an urban edge. This phased project involved adding 20,000 SF of new construction to 32,000 SF of existing operational space while planning and designing a facility that would accommodate the delivery of new models of care. 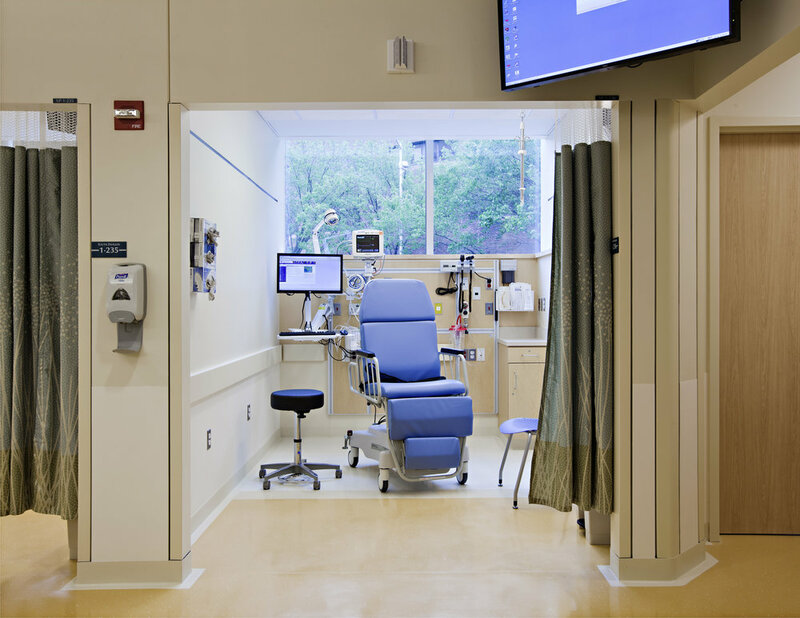 In an effort to increase flow and throughput, chair-centric care delivery has been implemented as it improves throughput for less chronic admissions than traditional exam rooms.